If you teach in an early childhood classroom that welcomes all learners, you probably have a couple students who keep you up some nights. Not because they’re not wonderful kids, but because you haven’t quite figured out the best way to help them learn and grow. Maybe you’ve tried everything to coax Lucas into group activities, but he only wants to sit by himself and play with his truck. You’ve tried to give Ava extra help with her communication skills, but you can’t seem to build a positive rapport with her–and if you don’t engage her, how can you support her learning? Today let’s talk about one of the most effective ways to reach and teach a child, especially a child with special needs: following his or her lead in the classroom or on the playground. You might already do this instinctively with your young learners, but I thought this little story really brought the concept to life. 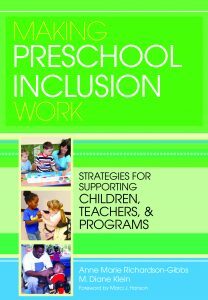 It’s a short case story from Making Preschool Inclusion Work, an early childhood inclusion guide from veteran special education experts Anne Marie Richardson Gibbs and M. Diane Klein. This anecdote is a beautiful example of how to engage a child by honoring his natural interests instead of starting your own activity and trying to draw him in. “Wing is a 3 year old with a diagnosis of autism. He plays alone and has a limited repertoire of interests. He rarely uses words functionally: For example, he does not ask for something he wants. He does not seek out adults or peers to play with at school. During outside play, he sits in the sandbox and flips sand around with a small shovel. His teacher has tried leading him to the bike area or the water table with no success. He always wanders back to the sandbox and shovel. One day his teacher sits down next to Wing in the sand. As he shovels sand around, she picks up a shovel and begins to copy his actions. When Wing shovels sand, she shovels. When Wing stops, she stops. As she continues to follow his lead, he begins to show some agitation and turns away. His teacher doesn’t move but waits for his next action. Wing looks back and–as if he senses that she’s not going to pull him away from the sand area–begins to dig in the sand again but this time watching his teacher for her reaction. This activity is repeated over the next two days. Wing doesn’t show agitation anymore. In fact, he begins to make fleeting eye contact with his teacher when she sits down and follows his lead. Wing’s teacher begins to label his actions with single words: dig, shovel, sand, stop, and go. During one session, his teacher imitates Wing but expands on his actions by getting a pail and putting the sand in the pail. She moves a second pail close to Wing. Wing watches, shovels some sand, watches his teacher shovel sand into her pail, and then he imitates her action by using the pail close to him. Wing’s teacher gave him the support he needed to expand his interests and improve his communication, just by listening, watching, and letting his interests direct her gentle interventions. It’s such a simple story–but what a great example of how the simplest, most intuitive strategies are often the ones that work best. 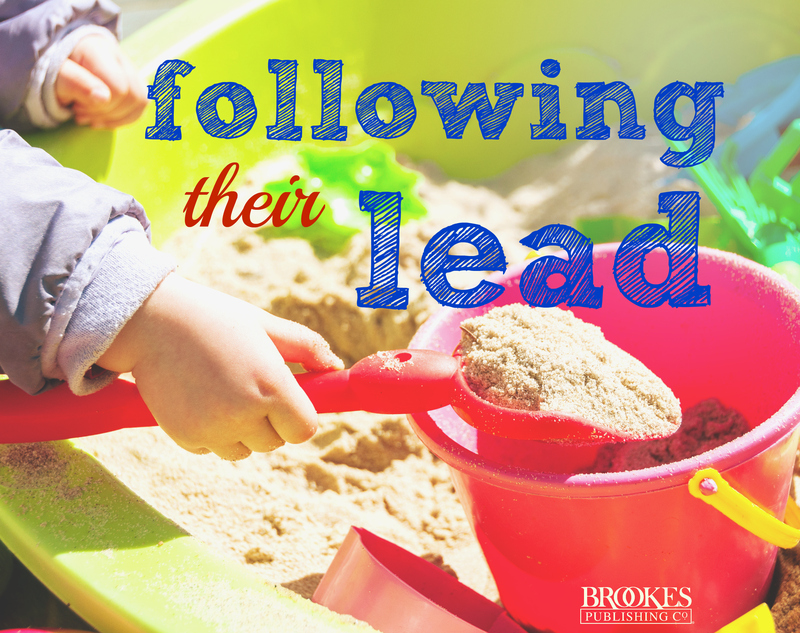 Tell us: Do you have another story that highlights the benefits of following a child’s lead? Click the Submit a Story tab above to share it–or just add it in the comments below. 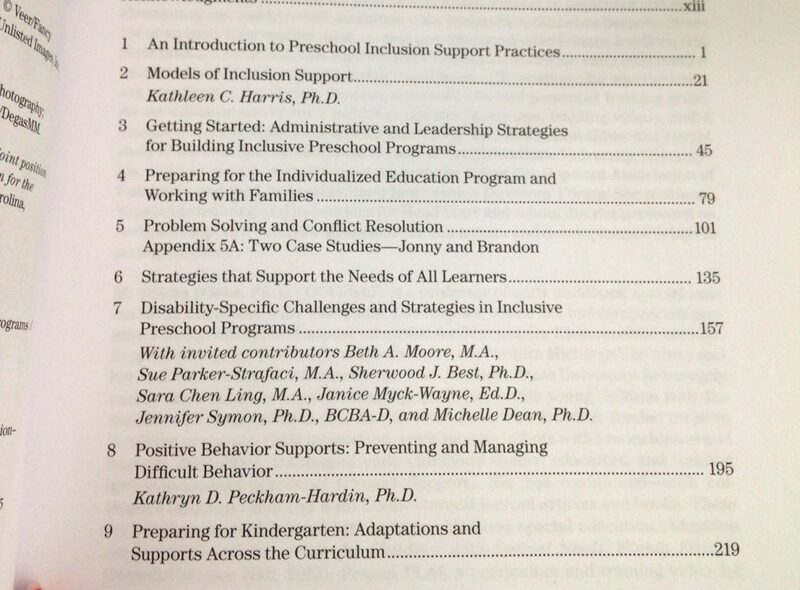 We love hearing about successes in our readers’ inclusive classrooms!